Order intake in the post-consumer segment also increased again significantly, doubling within the last three years. 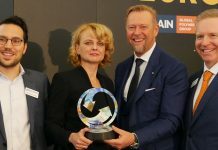 „Here we are pioneers and trendsetters in solutions for a growing recycling industry that focuses on quality and is becoming increasingly industrialized,“ says Manfred Hackl, CEO of the EREMA Group. He is also pleased at the way sales are developing in the in-house and industrial sector. 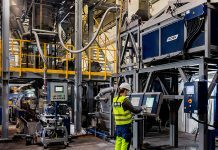 Both the EREMA solutions and the shredder-extruder solutions of the Group subsidiary PURE LOOP were able to increase their turnover yet again. The expansion of the in-house product range thanks to participation in PLASMAC, VACUNITE and also the newly-created KEYCYCLE business unit as a provider of complete solutions for plastics recycling, are current examples of new products and innovations. „We thrive on proximity to our customers! This enables us to understand their challenges and develop appropriate solutions,“ says Michael Heitzinger, Managing Director of EREMA GmbH, one of the recipes for success of the world market leader. At the beginning of the 2019/20 financial year, Klaus Feichtinger will step down at his own request as CEO of EREMA Group GmbH. 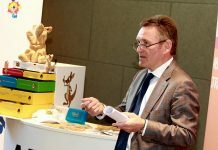 However, he will continue to contribute his know-how as a manager in the area of IP and new technologies. Together with Manfred Hackl CEO, Horst Wolfsgruber CFO is now responsible for the strategic planning and ongoing development of the entire group of companies. In order to be able to concentrate fully on this task in the EREMA Group, Manfred Hackl is handing over operational management of the subsidiary EREMA. Markus Huber-Lindinger takes over the areas of technology and production as Managing Director. 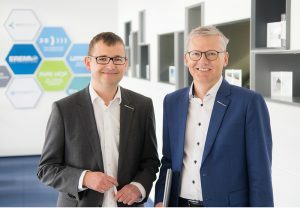 Together with Michael Heitzinger, Managing Director responsible for Sales, Customer Services and Project Planning, he forms the management team duo at EREMA. „We are convinced that this allocation of tasks will enable us to meet the many challenges, both in terms of the size of our group of companies, and due to the rapid changes in the industry, so that we can continue on our successful course of growth,“ say Hackl and Heitzinger.